There are many times over my time in the ambulance service that I have had more experienced Paramedics tell me that everything we do ultimately goes back to basics, and to be a good paramedic, the basics should never be forgotten. I have always agreed with this mantra, but have at times, in my early career, maybe not have spent as much time on the basics and instead have gone to the advanced skills and procedures available to me as a Paramedic. Im not saying that I forgot the basics, but instead moved through them rapidly to get to the wonderful new stuff I could do after I qualified. 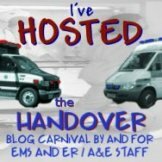 I know I am not unique in this and I can well imagine that the vast majority of paramedics/EMTs who read this blog can easily identify with the view of a newly qualified member of staff wanting to tube and cannulate anything that doesn’t move! I was recently working on the Rapid Response car when I was called to a “Cat A” emergency for an elderly male who was slumped unconscious in his chair at home. The patient had a medical history of severe Emphysema that required home oxygen therapy whenever he required it. I arrived on scene to find him still in his chair. His daughter and neighbour were in the house looking frantic and petrified. One quick look at him told me everything I needed to know to get started. He was cyanosed, breathing very shallow and using all of his accessory respiratory muscles and had a GCS of 3. Due to his positioning in the chair his airway was partially obstructed so that became my priority. I managed to manoeuvre him onto the floor, open his airway using a head tilt/chin lift, insert an oro-pharyngeal airway and provide some assisted respiration’s with the Bag-Valve Mask……and that was it! I’m now stuck, if I go and do anything else, like gain IV access or try to perform some baseline observations, then I put the airway at risk and certainly loose the benefit of the little bit of positive airways pressure I was achieving through having the BVM tightly clamped to his face. Being honest with myself, in the past I may well have just placed a 100% non re-breathing mask on the patient and carried on with the rest of my treatment, but right now, I know that the most important thing for this patient is to get oxygen into his lungs, the rest can be closely observed and acted on if anything changes. I use the time to get some history about when he was last seen and his medical problems that he suffers from. I ask one of the relatives to place some ECG dots onto his chest so that I at least have a rhythm that I can keep an eye on. After 4-5 minutes the crew arrives to back me up. Now things can step up a gear but as it is a full paramedic crew, I remain at the patients head, controlling the airway and breathing whilst they work as a team checking BP, oxygen saturations, listening to the chest, inserting a cannula and checking a blood sugar level. The blood sugar reading comes back as 2.2 (low enough to cause unconsciousness in some patients, although this gentleman is not known to be a diabetic). A quick bolus of 100ml Glucose IV, and he is now starting to respond but remains very poorly. He still isnt making much of a repsiratory effort, but now his conscious level has increased, I decide to get behind him and prop him up resting back against my chest so as to assist in his breathing by placing him in a more suitable position. Again, back to basics. We move him onto the stretcher and the crew takes over care and transports him with blues to the local Accident and Emergency department. I didn’t get to check up on him so don’t know how he did, but I suspect that he didn’t do great and I would be pleasantly surprised if I heard that he made it to discharge. So my whole point of this post…..Always remember the basics, and if you turn up to take over from a rapid responder and the patient is cannulated and tubed, you have to ask the question, who was doing the basics whilst the paramedic was cracking on with the advanced stuff?? I’m really pleased that our local fast response paramedics have been asking for Community First Responder back-up in similar cases. Our CFR desk is also very good at asking us to back up a paramedic. All we CAN do is the basics, leaving the paramedic to get on with the potentially life-saving stuff whilst we maintain the patient. It’s just a pity that we haveto have jobs to pay the mortgage, so it’ isn’t a 24/7 assistance. As a paramedic, I pride myself on remembering the basics… Even after fifteen years in service, it’s the basics that’ll get ya every time. I’m heartened to know that others realize this as well. Thanks for the addition to your blogroll Dodge. Do you have a blog too? Ive just had a look at your site, but it seems more of a resource site with info, forums and chatrooms. Am I missing an obvious link to your blog somewhere? ?